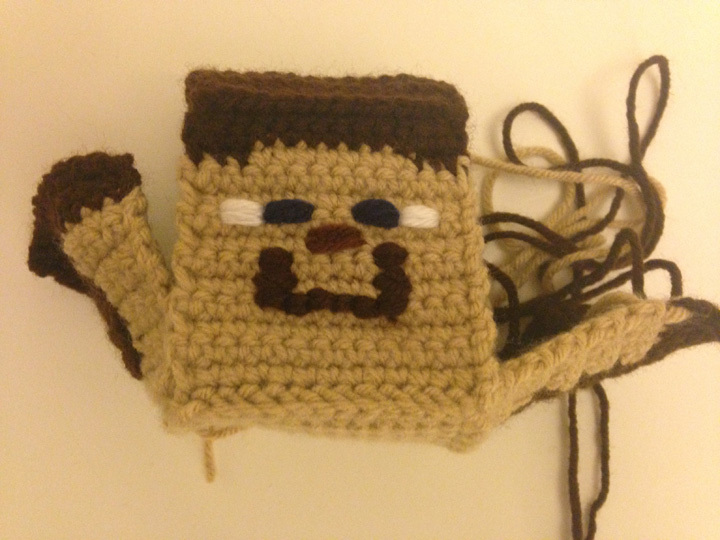 Someone asked me if I had written the pattern for the Minecraft Steve Doll I had made and posted in a previous post. It’s been a crazy busy year and I got side tracked. I had every intention to get this out a lot sooner but you know what they say about good intentions and all :-). I finished my first rag doll at work and it was a huge success. The kids were very curious about what I was making. When I told them, they were all very excited. I told them I was working on something I thought they could all make once they learned the single crochet. I just grabbed some random colors we had in our yarn drawer. Another student was using the tan color so I grabbed yellow because it was lighter than the other colors we had. Another student recommended the blues for the body. What I didn’t realize was that the students would see Spongebob Square Pants and Steve from Minecraft. One kinder kept telling me I should make princess Jasmine from Aladdin because of the light blue I was using. Meanwhile, I was just making something random but it definitely got me thinking about future rag dolls and what characters it easily lends itself too. The doll didn’t take me long to make so the whole project was a winner. I can make them quickly for the prize box, I can teach the kids a project they can finish and it lends itself so easily to characters the kids already love. Here’s my first attempt. I used very little stuffing which made it soft and cuddly (and also easy to make). A fifth grade student kept telling me he really wanted it. I told him when he made it to the prize box, I would give it to him. I was going to add hair but my student wanted it just like this so no hair :-). The second one was inspired by my Minecraft loving students 🙂 My daughter, ever the faithful critic, thought the body was too long for the first doll so I shortened it by a few rows for this second doll. Haven’t decided which one I like better. I intended to make Steve’s feet with black or dark grey yarn for his shoes but I forgot so I will probably attach a pair of black shoes after. 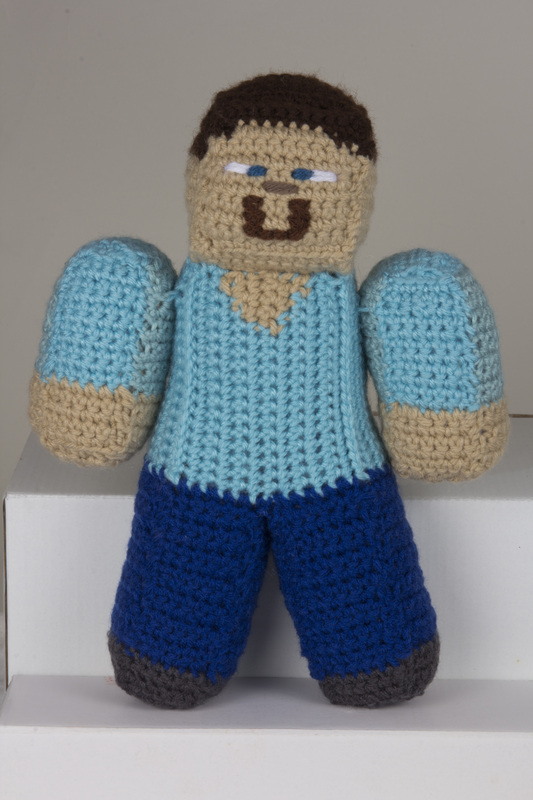 I finally finished the second Minecraft Steve Doll. I made a few changes on this doll from the first one that made it easier to put together. With the first doll, I started with one large panel for the head and one large panel for the body. 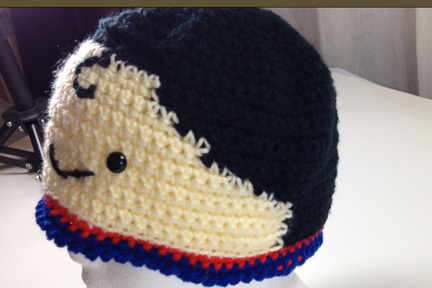 I crocheted in the front or back post to create edges where I wanted them. But then, for the arms and legs, I had the bright idea to make a panel for each side. At the time, I was thinking that it might create a better edge. However, I ended up having to sew up so many sides I was going cross-eyed. I also didn’t use the best sewing technique I could have to get better edges. 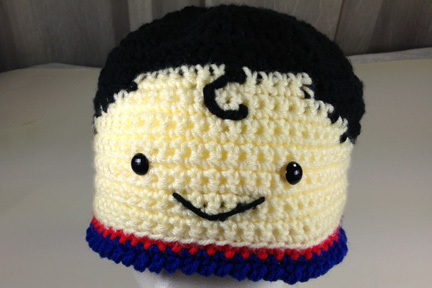 For the first one I seamed with a whipstitch. On this one I used something different. I’m not sure what it’s called (I searched the internet with no results to my utter frustration). 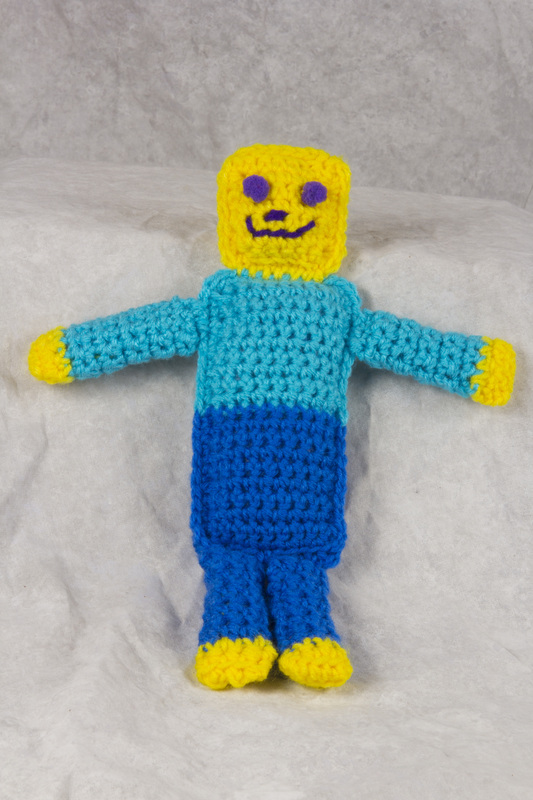 I also made the arms less wide than that first doll. The end result of that first doll was good but I think this second doll was better. Here are all the panels I made for this doll. 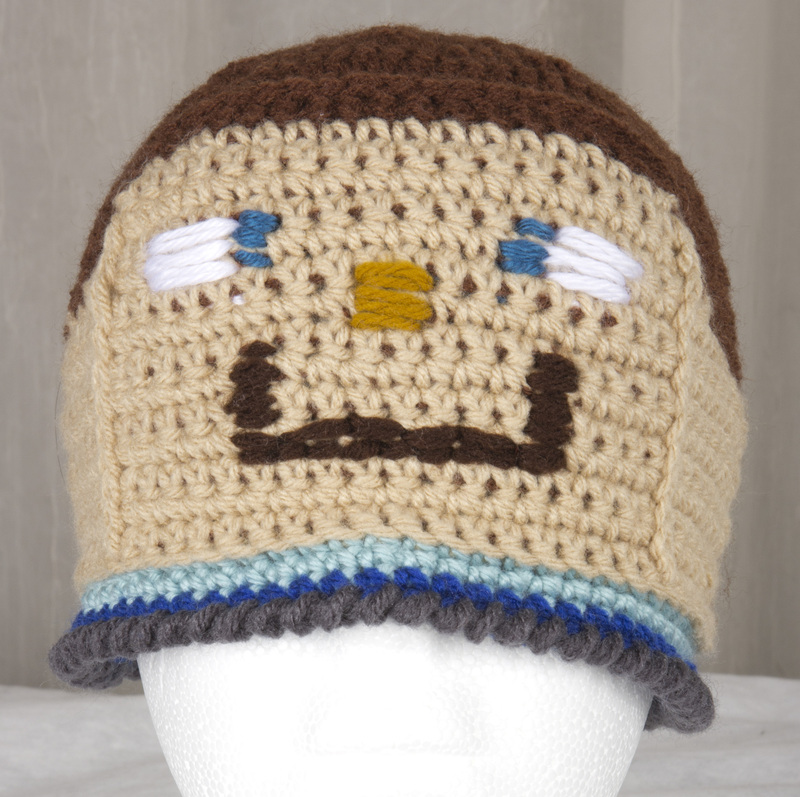 This is the head in all it’s glory.